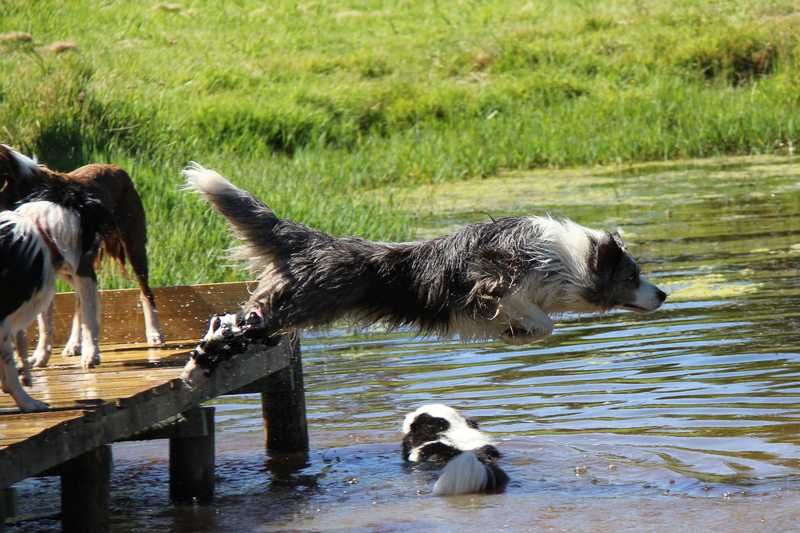 This is the second blog in the series on top tips to help your dog beat arthritis. Arthritis does not only affect older dogs. If we over-exercise our dogs, or if they carry excessive weight, or have had a joint injury or surgery, even as a young dog, then chances are, their joints are experiencing more wear and tear than normal and could have arthritis. In Part 1 of the blog post we discussed the early telltale signs that your dog may have arthritis. I then outlined the Principles of Treatment to give you the best management for your dog. In Part 2, we continue to discuss the treatment options available to your dog to maximise their quality of life and longevity. Adding in joint supplements to your dog’s diet is a must if your dog has arthritis. Krill oil comes from crustaceans that live in the clean waters of Antarctica. It is said to be cleaner than fish oil due to where it is sourced and the processes it undergoes to ensure quality and eco-sustainability. Krill oil contains powerful anti-inflammatory omega-3 fatty acids DHA (docosahexaenoic acid) and EPA (eicosapentaenoic acid), and also has 47 percent more antioxidants than standard fish oil. It has been shown to decrease joint tenderness and stiffness. 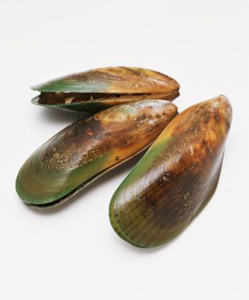 Green-lipped mussel such as ‘Technyflex’ contains eicosatetaenoic acid (ETA) which is a potent anti-inflammatory and has been proven to reduce symptoms of arthritis and improve joint function in dogs, while being gentle on the stomach. Glucosamine sulphate is also a commonly used supplement for dogs with arthritis. It works to help rebuild lost cartilage and to cushion the joints. There are many dog specific brands available, such as Blackmore’s Osteocare in a convenient kangaroo chew. Tumeric has been around for centuries as an important Indian spice but has also more recently become popular for its powerful antioxidant and anti-inflammatory actions due to it’s active agent curcumin. Tumeric has been shown to be effective at soothing joint swelling and pain. Speak to your homeopathic vet about whether turmeric is suitable for your dog and the correct dosage. Rosehip has also increased in popularity for its effectiveness in managing arthritis in dogs without side effects. It has been shown to reduce pain and increase movement in arthritis joints. ‘Canine Rosehips Vitals’ are a reputable source of rosehips for dogs with specific dosage instructions for your dog’s body size. If you suspect your dog may have arthritis, or you would like to be sure, then head to your dog’s vet for some advice and assessment. Your vet should ask you a complete history about your dog’s mobility and exercise, watch your dog walk and assess your dog’s joint mobility. This is often sufficient to diagnose arthritis. They may also want to take some x-rays to rule out other causes of the discomfort. Control of pain and inflammation are super important to the success of managing a patient with arthritis. 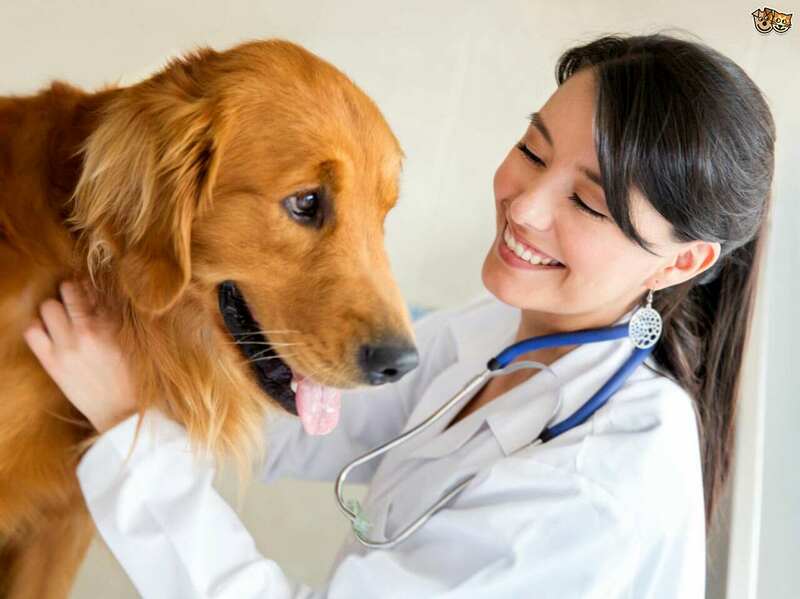 Based on their examination findings, your vet will decide whether your dog requires prescription medication like a non steroidal anti-inflammatory, to make them more comfortable. This may just be temporary, but if your dog’s arthritis is severe, it may be a long term treatment. Your vet may also recommend injections of a DMOAD – disease modifying osteoarthritis drug such as Pentosan, to help maintain joint health. This is typically a series of 4 injections done weekly for one month, then a regular booster is given – often 3 or 6 monthly – after this, long term. Once your dogs reaches 7 years of age they move into the ‘senior’ pet category. Make sure you discuss with your pet’s vet at their yearly check up about their joint health and if they need any medical management. Physiotherapy can play a vital role in the management of dogs with arthritis. An experienced animal physiotherapist will fully assess your dog’s body including their joints and their muscles for tender points, shortening and weakness – all common with arthritis. They will then devise a treatment program to meet your individual dog’s needs that will typically include soft tissue treatment to sore and tight muscles through massage and stretches, and strengthening exercises for weakened muscles, so as to support the joints. The treatment may also include hydrotherapy. Underwater treadmill can be extremely helpful to dogs with arthritis as it allows exercise in a semi-weightless environment so it is gentle on the joints, but is super – controlled so we can carefully increase muscle strength without making the joints sore. As your dog improves, exercises will be progressed so they get the most from their program. Ice can be used on superficial joints such as elbow, and knee, when these joints are acutely inflamed. The ice can help ease pain swelling and inflammation. Use a commercial ice pack, a bag of frozen vegetables or a bag with crushed ice, wrapped inside a wet towel or chux, and wrap around the joint for 10 minutes twice per day. If your dog doesn’t tolerate the ice, then don’t persist. If joints are not acutely inflamed, but are stiff, and the muscles around them are sore, then a heat pack can be helpful. This can be helpful for the back, neck, hips, knees, shoulders or elbows. Apply the heat pack – just warm- to the affected muscles or joints for 10 minutes twice per day. Again, just as with the ice, if your dog does not tolerate the heat then don’t persist. Acupuncture can also be very beneficial for dogs with arthritis. It can be used to reduce acute pain and inflammation as well as reducing muscle spasm around painful joints. Acupuncture should only be administered by a trained acupuncturist. Regular massage to the muscles surrounding the affected joints can help your dog to move more freely. How often this needs to be performed depends on your dog’s activity level and how severely affected they are. Look for a qualified canine massage therapist, or your animal physiotherapist can also provide these treatments. If arthritis is very severe then a walking aid may help your dog to still get out and about and enjoy life, but not make their joints more sore. A dog pram can mean you can still get your own exercise, or exercise a younger, fitter dog, while your arthritic dog rides along in the pram. 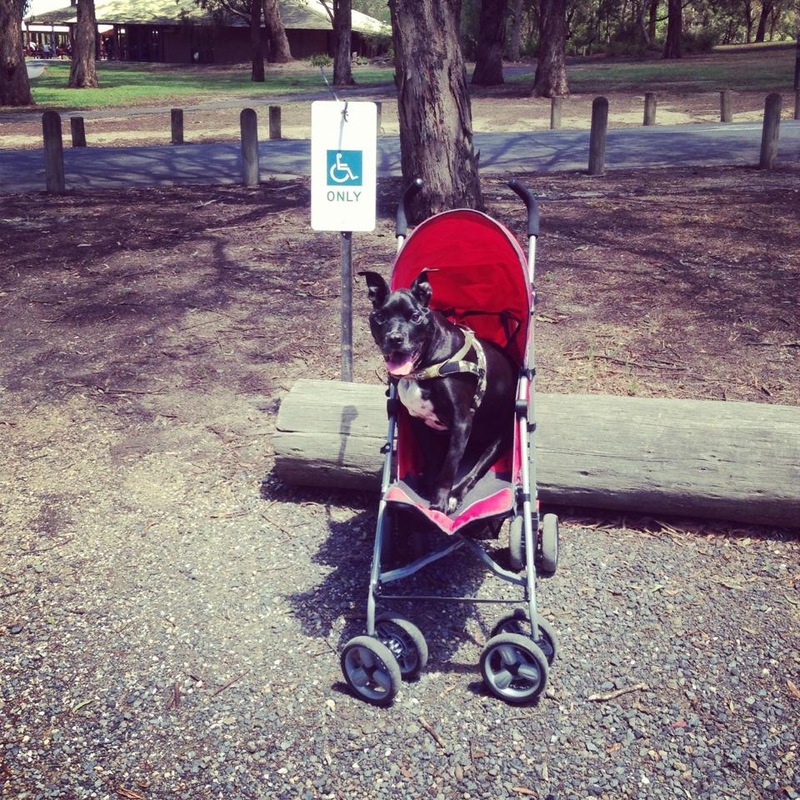 Once you get to the park, your dog can hop out for a shorter walk around and a sniff, so still getting good quality of life, then pop back in the pram for the ride home. Beats being left at home alone! A wheelchair can also provide a similar solution. If your dog’s hind limbs are affected with arthritis but the front limbs are still fine, then a rear wheelchair can allow your dog to go for their regular walk / run with the rear limbs protected in the chair. A harness can make it much easier to move your dog around. Sometimes they just need a little assistance to get up from the floor, or up the steps, or into the car. A great brand of harness that we use in the clinic on a daily basis is the Help ‘em Up Harness. Well that’s it for Part 2 of this Blog Post. I hope you found some useful tips to help your dog, or a friend or neighbor’s dog. Remember we are always here to help. If you would like to see one of our qualified animal physiotherapists to assess your dog or provide you with a program for managing your pet’s arthritis successfully at home, please give us a call on 03) 9553 0896 or send us a message. We now also have virtual consultations available if you can’t make it to the clinic. 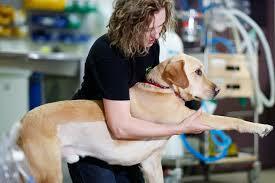 Tags: Animal Physiotherapy, arthritis, arthritis in dogs, dog physiotherapy | Permalink.